The 2018 event was even better! Thank you to all the veterans who volunteered, and to all the supporters who purchased tickets! We are grateful to you! Check out the footage from the 2018 event below! VME is a grassroots organization, fueled by veterans to support veterans. We survive on the sweat of veterans who donate hundreds of hours of time, and the kindness of our donors and supporters. 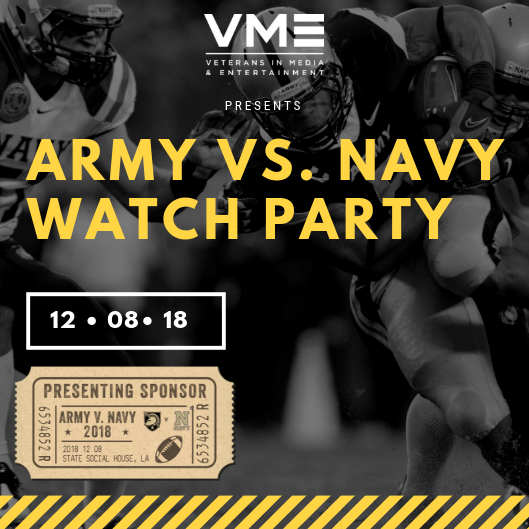 The annual Army vs. Navy fundraiser takes place every year to help pay for VME programs there to support veterans jobs, internships, and education programs. 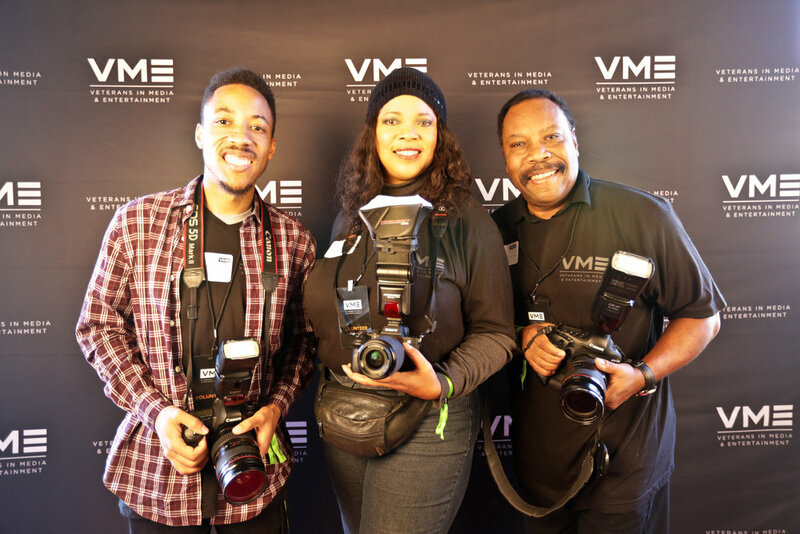 Whether you purchase a ticket, purchase a table, or sponsor a veteran, or become a sponsor, 100% of every dollar goes back into VME programs. In 2018, over 250 Veterans cheered side-by-side ,with Hollywood Executives, Showrunners, Producers, Writers, Casting Directors, and celebrity Actors from shows such as Seal Team, This Is Us, Long Road Home, and Battlestar Galactica, and studios such as Lionsgate, FOX, and Warner Bros.